Earthquakes! Sign of the End Times? We Are The Earthquake Generation? I was born and raised in south Louisiana! In all my years living “way down south” I can’t remember having experienced even one earthquake. Hurricanes we have lots of but not earthquakes. 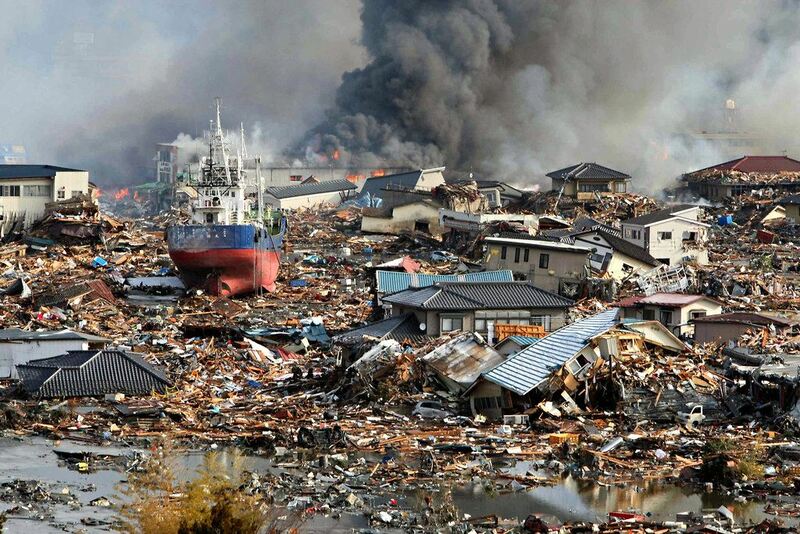 However, when I lived on Hokkaido, Japan for a year I experienced my first of many small earth tremors. When that first earth tremor hit, I can remember thinking “what in the world was that?” Just a little earth tremor, nothing to worry about – no damage was done! I could just imagine what a real earthquake must feel like. Years ago, in the early 80’s, while studying Bible prophecy, I remember reading a book entitled “We Are the Earthquake Generation” by Jeffery Goodman. You can still purchase a copy of the book on Amazon.com for 1 penny plus $3.99 shipping! Wow, the shipping costs more than the book. It predicted that California and much of the West coast of the United States would suffer massive earthquakes and fall into the ocean by 2000. Damascus is the capital of Syria. It’s the second largest city in Syria with a population of about 2.6 million. The country of Syria is a midst of a civil war. Some factions of Syria are trying to oust Syrian President Bashar Assad. However, most Syrians support the more westernized Assad. Islamist factions led by the Muslim Brotherhood are fighting for control of the country. Syrian rebels, defecting military personnel and foreign jihadists are fighting the Syrian army near and in the city of Damascus. There’s been a lot of news lately regarding the civil war that is currently raging in Syria. There’s renewed talk of sending additional American soldiers to Syria – “boots on the ground” as it is called. There is a prophecy regarding the destruction of the capital city of Syria, Damascus in Isaiah chapter 17. And because of the latest developments in Syria, prophecy teachers are coming worth pointing to the soon imminent fulfillment of the Isaiah 17 prophecy. John 1:1-4 (KJV) – In the beginning was the Word, and the Word was with God, and the Word was God. 2 The same was in the beginning with God. 3 All things were made by him; and without him was not any thing made that was made. 4 In him was life; and the life was the light of men. John 1:14 (KJV) – And the Word was made flesh, and dwelt among us, (and we beheld his glory, the glory as of the only begotten of the Father,) full of grace and truth. The Gospel of John begins, “In the beginning was the Word, and the Word was with God, and the Word was God” (John 1:1). Here John clearly states that this “Word” was not only with God, but this “Word” was God. Part of the end time speculation is the rise of a world ruler. Many believe that this individual will first step on the world’s stage as a hero. Then he will show himself to be an evil villain. This world ruler is thought to be “the Antichrist” and “the Man of Sin” described in the Bible. Christians across denominational lines anticipate the soon arrival of this individual. As the belief goes, this adversary will arise shortly before the return of Christ. Many prophecy teachers connect “the Antichrist” with “the Man of Sin”. For good measure, they lump in the “beast of the sea” mentioned in Revelation chapter 13. 1 John 2:18 (KJV) ” even now are there many antichrists. So let’s all praise the Lord……..
Genesis chapter 12 is often referred to as the Abrahamic Covenant.